As I said in this New Year's Tree post back in January, family is one of the areas of focus I have chosen for 2016. Of course, as a mother family is always a focus. But I made it one of the "branches" of my New Year's Tree with the intention of seeking more resources and reminders to help me be a better parent and to help my children navigate the challenging preteen and teen years. As we all know, there are significant hormonal changes to deal with at this period in a human being's life. Think terrible twos. And then triple that. Like I said in that previous post, we are often busy running around to appointments and activities and pushing the kids to get homework done. We don't take enough time to sit and chat, play games and just hang out. No matter the age of your child, their favourite activity ever is just being with Mom or Dad. Trust me. Who doesn't love a compliment, a kind word, a thank you or a hug from a parent or other loved one? Raincoast Books was kind enough to send me three books to help me on my journey as a parent. Read on to enter a giveaway for Raising Stress-Proof Kids: Parenting Today's Children for Tomorrow's World . Is it just me or do you find that children today are more stressed than ever? I feel like in our quest to make perfect beings we ask too much of kids now. Everything is scheduled and they don't seem to have the chance to head outdoors and learn things on their own. Like I learned to skate by putting on skates and getting on the ice - it seems like kids take lessons for every single thing now. Do they have as much fun as we did? I love the concept of this book, Family Talk: How to Organize Family Meetings to Solve Problems and Strengthen Relationships . I know from past experience that family meetings are quite beneficial to the whole family - parents/guardians and kids. We used to hold them each Sunday, but that fell by the wayside one day and we didn't get back to it. Interestingly the kids still ask for a family meeting once in a while. Our son was at first resistant to the idea of a family meeting (I suppose he thought it would be just an excuse for Mom and Dad to offer up more complaints) but he quickly came around. The idea is you don't force anybody to participate but use methods to lure them in. For example, it helps to start the meeting by serving a baked good and tea or juice. It's hard to miss a meeting if you're missing snack time. Recruit the kids to set the table or prep the meeting area. Older children can take turns as "recording secretary." And make sure that the kids help set the agenda - we would leave a page on the fridge for family members to add their issues to throughout the week - this was also a good way of defusing fights - "Put it on the agenda for discussion at our family meeting," we'd say. You can also end each meeting by doing a fun family activity and/or schedule in the week's fun family events during your meeting. Those are great motivators to get everyone involved. In Family Talk, Christy Monson, a retired family therapist, gives clear tips to achieving success through family meetings. The meeting or family council provides a safe environment for each and every family member to discuss issues that have been irking them and explore the ways that the family can best work together. Says Monson in the preface, "If families work together to infuse themselves with honest, positive energy, they can create harmony, allowing and encouraging each member to become more than they could be on their own." Whether your family is related by blood or by circumstance, whether your family includes one parent or two, whether your family is headed by two women or a man and a woman, whether your family includes two working parents or one, all families thrive on love. Says Monson, "No matter what the parameters, synergistic families are based on devotions and trust - in other words, love. Encouraging communication through listening, understanding, playing together, boundary-setting, and creating rules brings deeper bonding and greater affection." 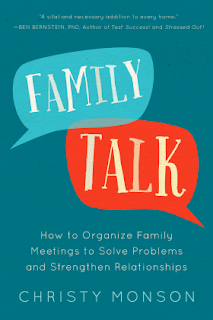 Family Talk takes you through from the logistics of the meeting (time, place, length, roles, minutes, etc.) to principles to teach, setting family rules, children and teen issues (like video game addiction - hello!) to parents' issues. There is also a section on tailoring your meetings for families with children with Asperger's Syndrome, Down Syndrome and Fetal Alcohol Syndrome, as well as for families with elderly family members. There are tips for giving nurturing messages to your children too, and ideas for learning, playing and growing together. I love Monson's idea of starting each meeting with compliments (either each person to every other person or by choosing a special person of the week or by pulling names from a jar). The kids are then encouraged to look for positives in others throughout the week, so the synergy felt at the meeting spreads out. The really great thing about family meetings is they encourage shared problem-solving rather than blaming others. Brainstorming possible solutions together puts everybody on the same team and gives kids the opportunity to problem-solve in a way that they can carry with them each day. Monson also shares how you can discuss family responsibilities and make sure they're carried out - so Mom doesn't end up doing all the work all the time. That right there is worth the cost of the book. Stress is an issue that we deal with on a pretty-much-daily basis in our family. Does anybody not have stress? I jumped at the chance to read Raising Stress-Proof Kids: Parenting Today's Children for Tomorrow's World because my greatest wish is to help my kids deal with the stresses they face today and will continue to face as human beings in a oft-difficult world in future. Teacher and author Shelley Davidow draws on research from the Institute of HeartMath in California, as well as her experience working with children and teens, to explore the powerful and potentially long-term effects of stress on our children. She offers simple steps that parents and guardians can take to minimize the impact of stress at home and at school. Davidow's "Restorative Parenting Toolbox" empowers parents to resolve behaviour issues, deal with temper tantrums, resolve sibling rivalries (wouldn't that be nice? ), handle bullying, cope with teenagers testing their independence and navigate the challenges posed by the virtual world. Says Davidow (rather frighteningly) in the intro, "Stress is rising alarmingly in our children, both at school and at home. Across the world, hearts are racing, faces are pale - and most of the time we're unaware that many of our children are chronically stressed. Teen suicide as a result of stress is on the rise, and premature adult death as a result of the rising incidence of heart disease is climbing to greater heights every year. Stress, according to research done at VU University Amersterdam in the Netherlands, increases a person's risk of death fivefold." As dismal as this sounds, Davidow believes that we can make choices about our children's home and school environments and our responses to our children that can positively impact their health, happiness and success over the long-term. Raising Stress-Proof Kids looks at the causes of stress as far back as in the womb (and even farther, as Davidow says our stress response is learned and carried on from one generation to the next). There is advice for new parents suggesting that letting babies cry themselves to sleep raises their cortisol levels even when they stop crying and that "loving touch is the most important ingredient in healthy emotional, physiological and cognitive development." The book says that trying to "unwrite" stress responses set up in the early years is difficult. But what if, like me, your children are well past the early years and feeling the stress of the teen years? Then Chapter 8 "Emerging Adults: The Teenage Years" offers suggested "buffers" that help to stop teen stress from becoming unmanageable, factors like functional families, friends, recreation and sleep. Raising Stress-Proof Kids also has chapters addressing current challenges for kids, such as "The Academic Pressure Cooker" and "Virtual Reality." Part three delves into restorative parenting - parenting for a low-stress home, restoring any harm done and restoring relationships. It's about moving away from a punitive model of parenting to prioritizing relationships and building trust. Beginning with Chapter 16, "The Parent Toolbox," there are seven practical chapters that offer advice on how to proceed in certain situations in which stress is unavoidable. Some are applicable to tots, others to teens. This book is a great resource for new parents looking to build a strong stress tolerance for their young children, as well as parents of preteens and teens, who may not have fostered the perfect stress responses in their kids (and who could really?) but want to help them navigate life's stresses now. I wasn't the greatest at keeping up the baby memory books - I started them off with great intentions but never got around to finishing them. I'm sure I'm not alone. I mean the thing about baby memory books is that you have an actual baby to take care of. That gets pretty busy. 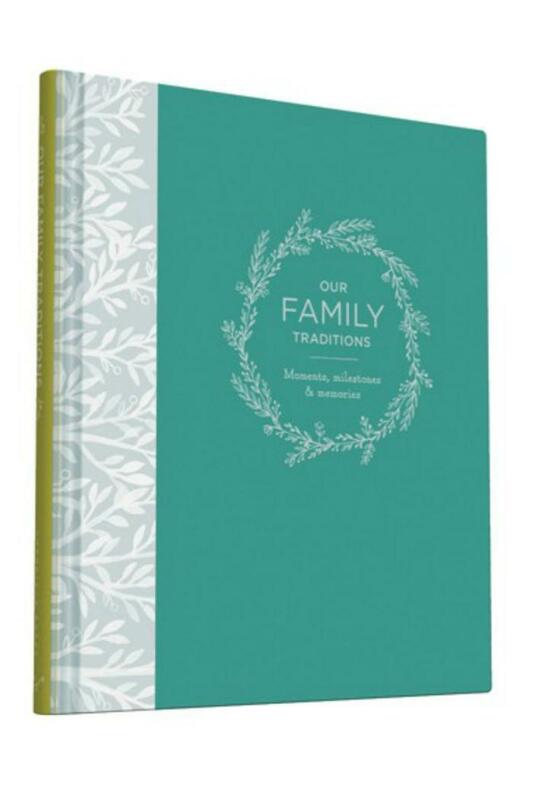 What I love about Our Family Traditions: Moments, Milestones, & Memories is that it's a memory book for the whole family and the entries can be recorded by the whole family. So I can get it started and then one of the kids (probably my daughter) can fill in some of the areas. It starts off with a family tree, with boxes for everybody from the children through their great-grandparents, which is a wonderful way of recording ancestors' names so they will be remembered in future. 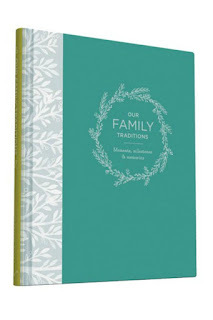 Family Traditions then has a family timeline for recording momentous moments and cherished memories. There are pages to fill out about each member of the family - their nicknames, birthdays, likes, interests and achievements. You can input information about the family's roots and have the kids call up their grandparents or other relatives for "ancestor stories to remember." There are pages for recording friends and pets, places lived, cars driven, special anniversaries, holiday traditions, daily rituals, favourite recipes and more. What I like best about this lovely hardcover family record book is that it celebrates your family and what makes it (and every member of it) unique. It's a keepsake that shows your children how special they are to you. Why do you think kids are so stressed nowadays? Or do we just pay more attention to our kids' stresses than other generations did? 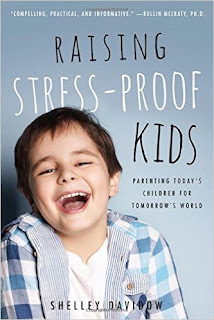 Giveaway - Enter to Win a Copy of Raising Stress-Proof Kids! Canadians may enter to win a copy of Raising Stress-Proof Kids from Raincoast Books using the rafflecopter below until March 29th. *I received books for review purposes. All opinions are authentic and my own. This post contains affiliate links. I think they're stressed out because they have fewer opportunities to build resilience. I think they're stressed because parents feel if their kid isn't doing sports, excelling in school, learning an instrument, studying other languages, constantly 'busy', they'll miss out, or worse, they'll be thought of as bad parents not doing enough for their children. 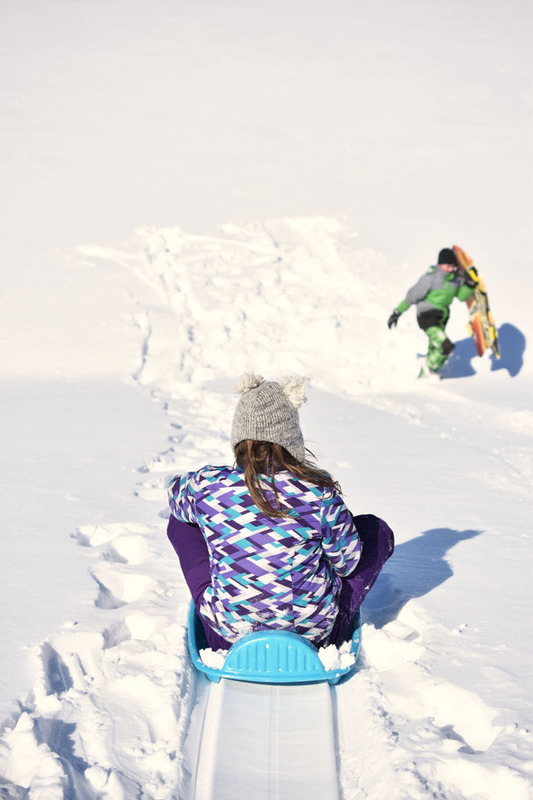 This also goes hand in hand with some helicopter parenting styles that hover too much instead of allowing kids to learn to do things on their own and try and fail, the kids will get older and not know how to get by in college or the real world. I think kids are so stressed nowadays is because they dont know how to deal with problems,kids are interacting less and less as time goes on with people..The internet has changed kids hardly ever see a kids outside anymore..my kids played outside,they got dirty,made friends lost friends made mistakes and learned many life lessons.I am happy my kids are adults because i dont think i could raise kids today not at this age anyway.Parents today have a big job raising children in todays world. 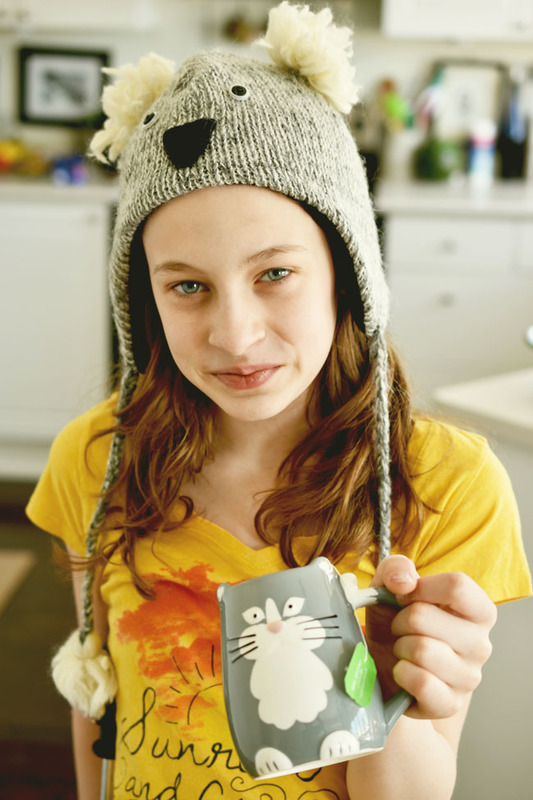 I think media and technology complicates life for kids as much as it provides opportunities. Kids sometimes miss out on the simpler things because other hi-tech things seem more important. I think kids are so stressed nowadays because their is so much pressure to do your best be your best. Technology is always in their face. Even when their friends go home, they are still contacted to them on their iPods and phones. I think they are so stressed because kids experience social academic, and extra-curricular activity pressure, parental pressure to “be the best" is a big one. I have not experienced that, mine are still young, but I've read that we parents may be signing them up for too many recreational activities. I think there's just so much pressure and competition nowadays. It's so prevalent, from who has what, to who is doing what and how well they're doing. It can also be difficult for parents not to get caught up in that, and to remember at the end of the day, kids are still kids. I think it is because nothing we do is simple anymore. Too many toys, too many activities, too many choices. A huge focus on objects instead of experiences. Kids definitely feel more stress today than in the past, in my opinion. Society is just too fast-paced! I think kids feel stressed because they are over programmed and so many parents are taking the fun out of activities by pushing their kids at too young of an age. Not all kids are going to be pro athletes, so I think we need to just let kids be kids. They need down time. Not having them in an activity every day is not going to put them behind the other kids.